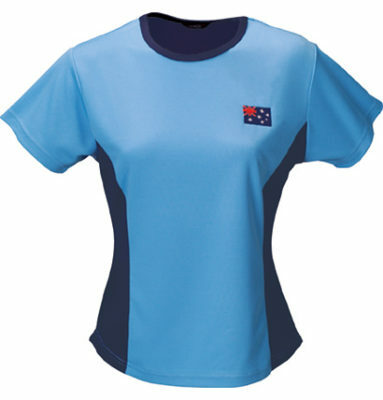 Perfect for activewear and sportswear, the Cool Dry Ladies branded T-Shirt have plenty to offer sporting clubs as uniforms and supporter wear. With a flattering design, and plenty of features to keep everyone happy, these shirts are a great way to promote your brand or sporting club. 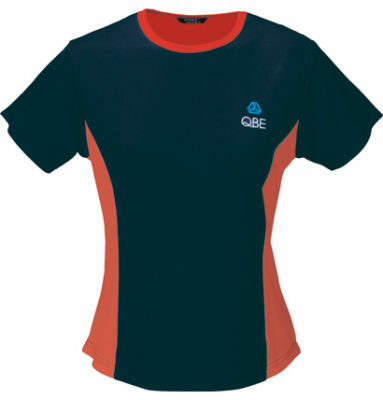 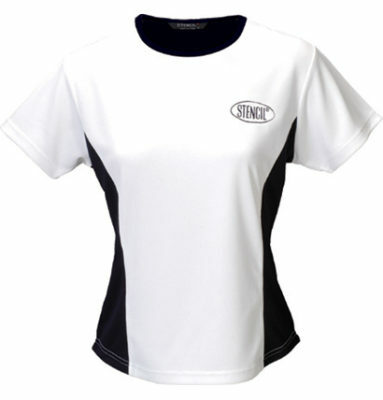 Available in a number of colour combinations and a range of sizes, the Cool Dry Ladies T-Shirt features a curved hem, contrast panels on the sides, collar and inside the back yoke, as well as antibacterial protection and yarn treated moisture wicking material, ensuring your members stay dry and cool. 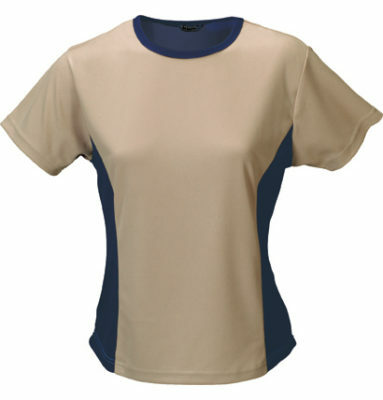 The Cool Dry Ladies branded t-shirt is also breathable, iron free, and quick drying, as well as comfortable and easy to move in. 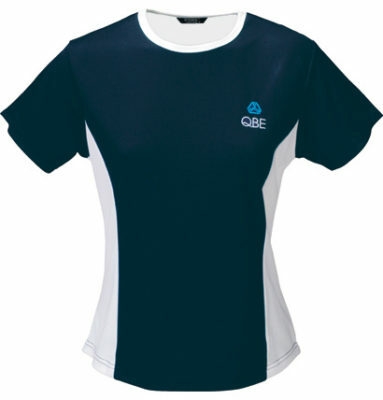 With a men’s range available as well, match up these branded t-shirts with the Cool Dry singlet or polo range for a large range of choices across your sporting club. 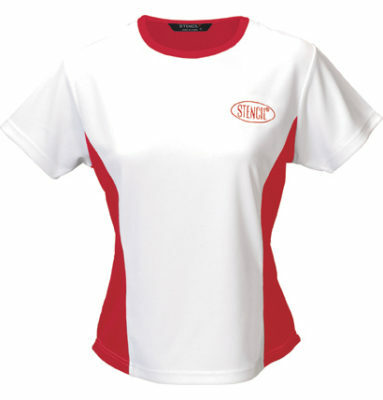 With a great overall look, the Cool Dry Ladies promotional t-shirt will look great and promote your club to the public easily and with no fuss. 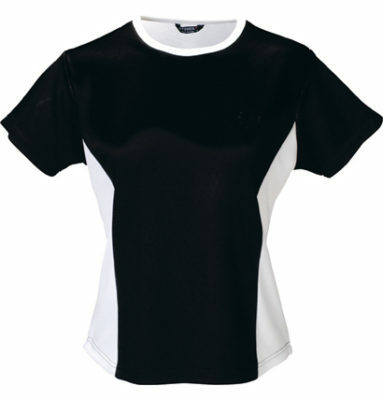 Made from 185g Cool Dry, the Cool Dry T-shirt features a curved hem and contrast panels on the sides, collar and back yoke.